Cyprus is tucked away in the top right hand corner of the Mediterranean being a stepping stone to three continents, Europe, Asia and Africa. An island whose rich dramatic history can be traced back over nine thousand years; an island so coveted over the centuries that it has been invaded and claimed by a fascinating mixture of civilizations from near and far all of which have left their culture and shaped its character. 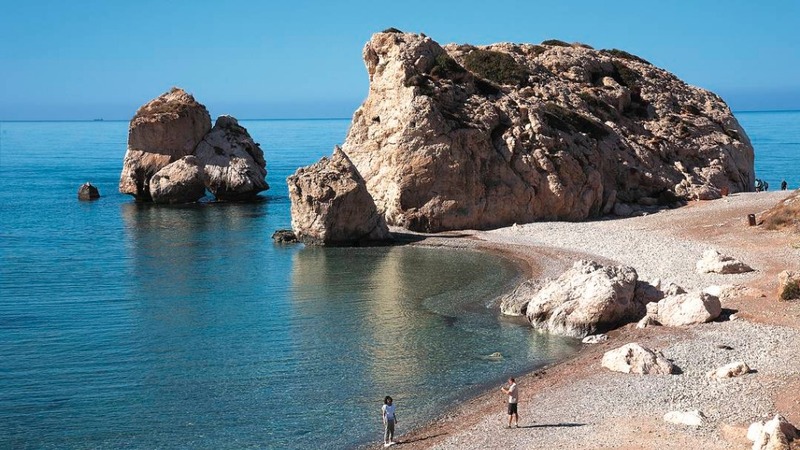 Cyprus occupies an area of 9,250 sq km or 3,500 sq miles with a coastline that is around 643km long. The island is 225km long and 97km wide at the widest point. The divided area of the north occupies some 3500 sq km. 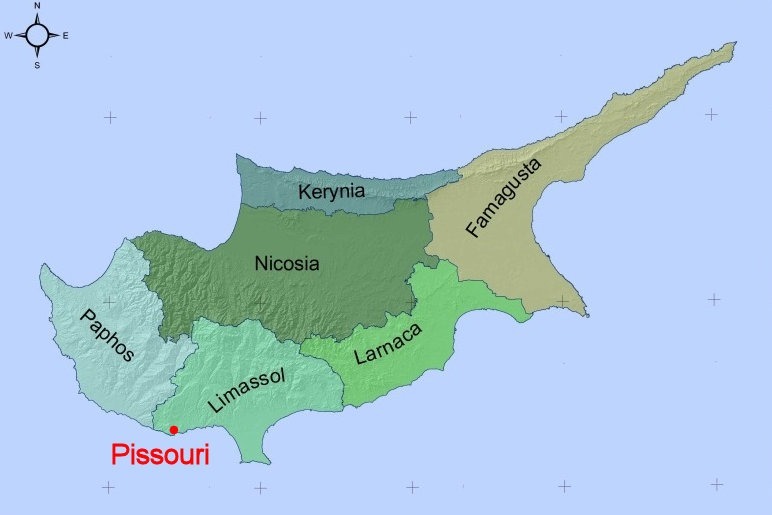 Cyprus is divided into 6 administrative districts, out of which two of them are occupied by the Turkish troops. Nicosia/ (in Greek = Lefkosia) is the capital of the island, the biggest town of it and the only divided capital in the Europan Union. English is widely spoken and you should not experience any communication problem island-wide. 00357 or +357 is the international code. Mobile No begin with No: 9 followed by 7 digits. Land lines Nos begin with No: 2 instead of No: 9. A format for a mobile number would look like this: 00357 99 123 456 whereas a land line would look like this: 00357 25 123 456. The currency in Cyprus is the euro (€), banks will accept and exchange all major currencies and most restaurants, major shops etc. accept credit cards. Shopping/Business Hours: As an approximate guide, opening hours are 09:00 to 18:00 with an hour lunch break. In the hotter months (mid-June to September) a siesta period comes into effect, hours are then approximately 09:00 to 13:00 and 16:00 to 20:00. Many shops are closed Wednesday and Saturday afternoons. 220/240 Volts AC 50Hz. UK standard square three-pin sockets are under usage. An adapter for 2 pins socket is highly recommended to be carried with you. Driving is on the left hand side and seat-belts must be worn in the front and rear in cars. Helmets must be worn when riding motorcycles and by law light must be on. Hire cars are widely available for rent.